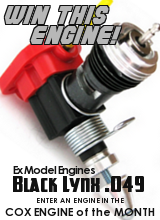 Application being the Cox .049 product-engine's plastic horseshoe backplate.. I've always had concerns about cross-threading my needle's threads when using these.. especially a replacement. That hasn't happened to me yet.. but the needle does thread-into the plastic seal before threading into the brass spray-bar/receiver. I prefer knowing by "feel".. when screw-threads engage. It's just something that I'm always mindful of. That "feel" isn't detectable with these seals. I do continue to use them.. and swap them-out for new if cracked/damaged. I think that they provide a decent needle-seal when new. 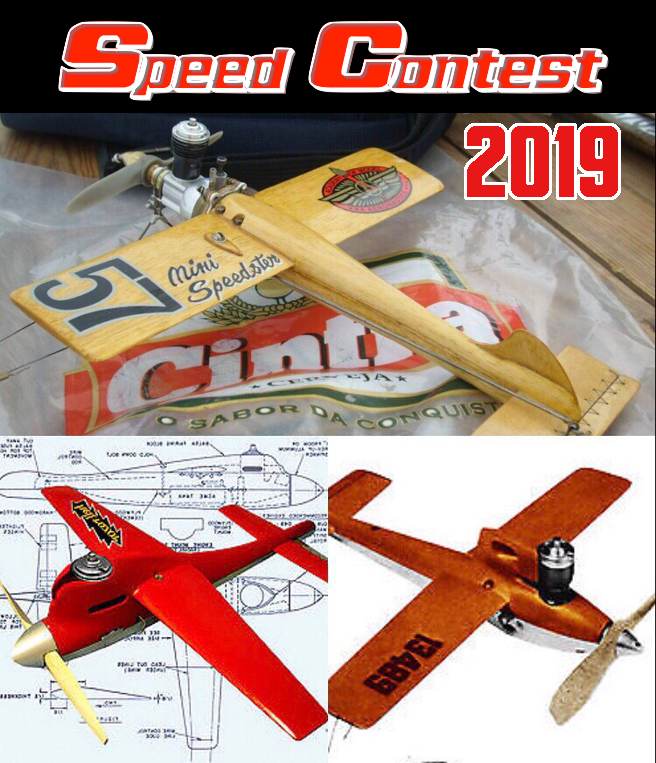 That said; when the needle-adjustment starts to feel "loose" or requires virtually no effort to adjust, it's best to either install a new one.. or install an additional "short" silicone fuel-line seal over the plastic seal/needle joint. It will help to hold the needle setting.. and minimize any air-leaks. I've also installed stronger retention-springs.. but I'm a collector of small springs.. I harvest them from discarded/recycled things that use springs. Small flat-washers are another item worth collecting/stocking. 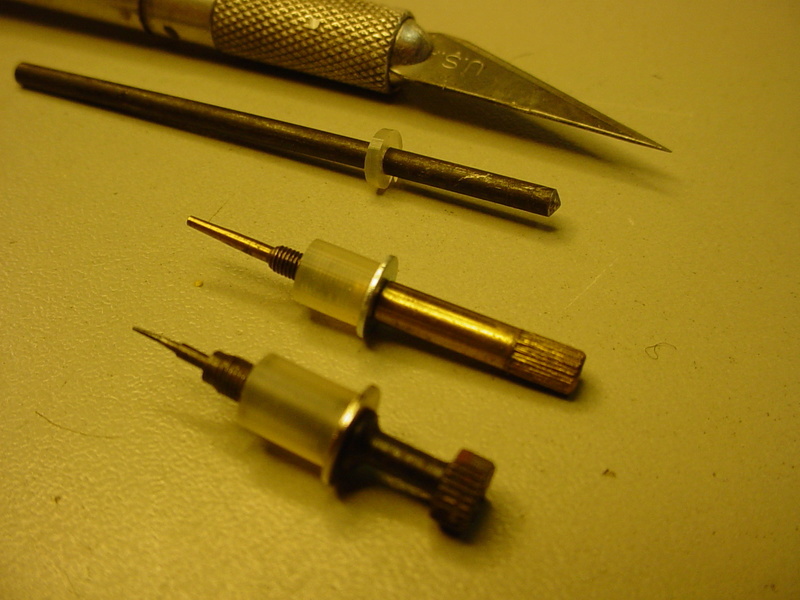 They can be soldered to most needles (except aluminum) to provide a custom spring-retainer. Wheel-collars can also be used. Roddie how do you remove the black seal from the spraybar without damaging the carb? Does it screw off or simply sits on the bar with elastic tension and it pops off if pressed by a blade? balogh wrote: Roddie how do you remove the black seal from the spraybar without damaging the carb? Does it screw off or simply sits on the bar with elastic tension and it pops off if pressed by a blade? They just press on. Should pop off easily with a screwdriver. In answer to Roddie's concerns about cross-threading, the easy solution is to screw the seal onto the needle before installing it. Screw the needle into the spray bar a few turns until the seal butts against the spray bar, then turn the whole lot together to force the seal down onto the spray bar, ensuring that the needle is not bottomed out. Thanks Rod! I haven't replaced many of them.. but that seems like a better way to do it. My 6 new ones came with the seals already pressed-on. I guess they've always come furnished that way.. although I have some spare NOS Cox needle-seals in a bin. I think they were originally included (along with a knob) if you bought separate needles direct from Cox (early 90's)... which I did. There's nothing new about sealing a needle-valve stem from air-leaks by using silicone fuel-line as a seal. I thought I'd share some of my examples. You can opt for using a compression-spring along with the fuel-line seal or not.. but a precision flat-washer in the assembly is useful in my experience. 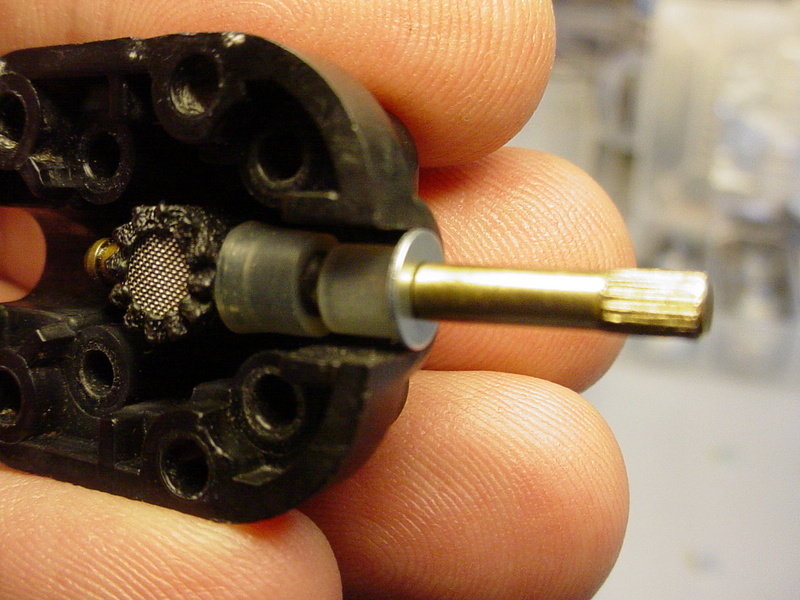 The flat-washer should have an inside-diameter large enough to "just" clear the threads on the needle. 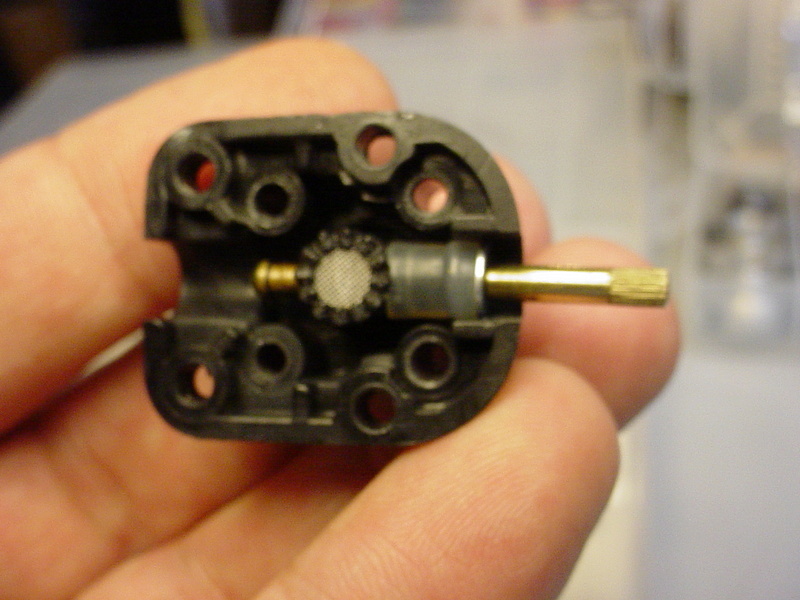 The flat-washer's "OD" can be critical in the case of a Cox product-engine backplate. Too large an OD will have an interference-fit with the molded-relief for the needle-shaft. If you use silicone fuel-line to seal your needle, choose/obtain a size with an inside-diameter which is smaller than your needle's outside diameter. This will help to seal around the needle-shaft. The "length" of this tubing will need to be "custom-cut". The flat-washer above it should be allowed to compress the tube-seal throughout its operating range. Fully-closed to slobbering rich should be well-within this compression-factor.. and still provide sealing qualities. Slice-off the length of your tubing a bit "long" to begin with. 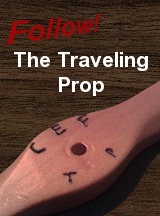 If the tubing distorts "excessively" when fully-closing the needle; shorten it up a bit. You'll be surprised at how much the tubing-seal can be compressed. 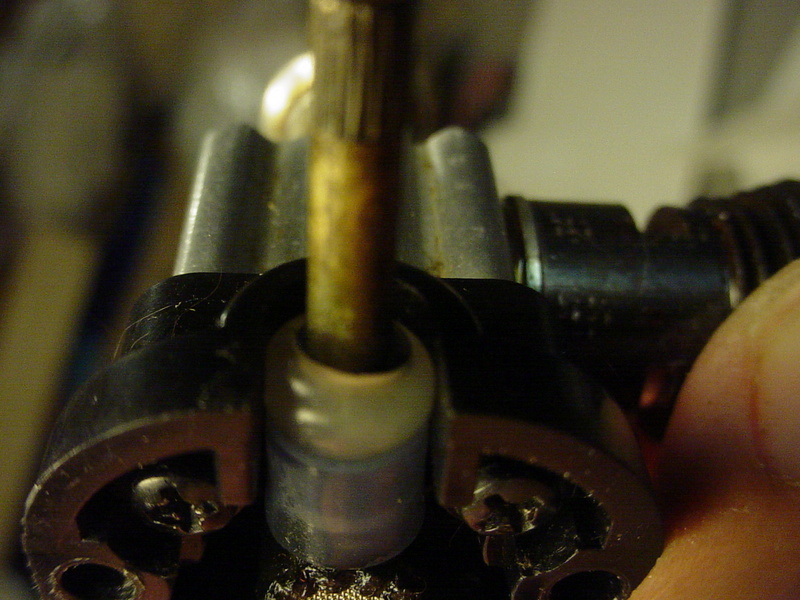 It also "acts" like a spring by tensioning the needle against the flat-washer. Some pics.. Here's an example of a Cox .049 product-engine back-plate with its OEM needle-seal intact.. and my using two different size pieces of silicone fuel-line to seal the needle. I could have used a flat-washer with a larger "OD". 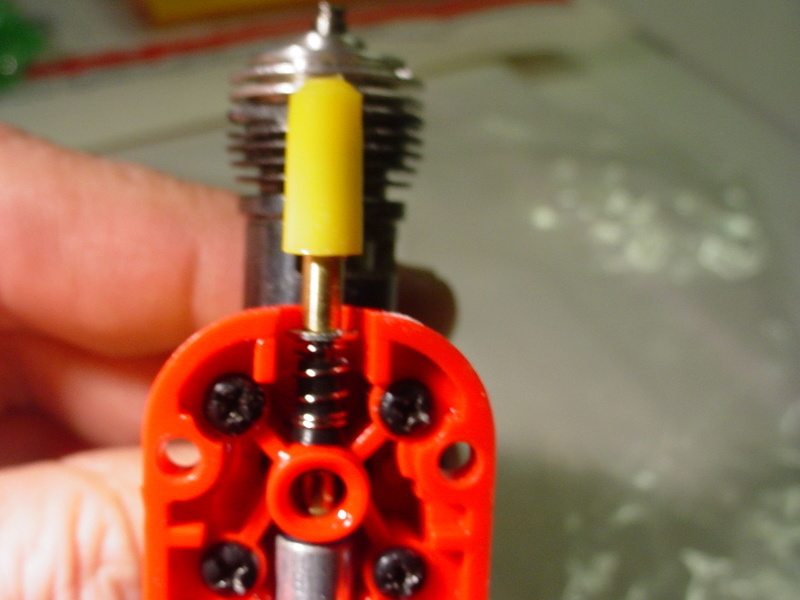 There is enough room in the back-plate's needle-relief molding. 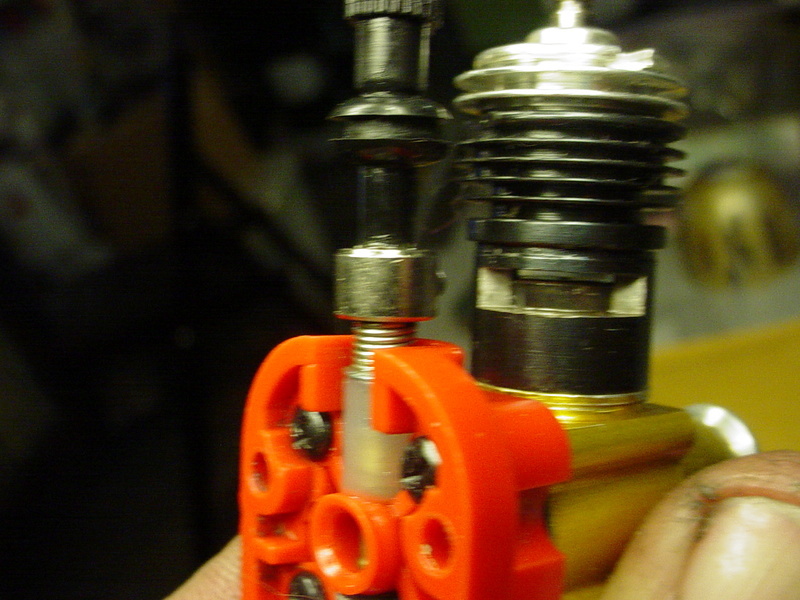 A flat-washer that's too small may slip-inside the seal-tubing.. which could retract the tubing away from its seat against the carb/back-plate when turned "open". open at least 10 turns.. the flat-washer still assures a seal by slightly compressing the tubing. fully-closed.. the flat-washer compresses the tubing. 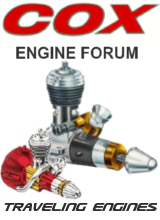 Here's an example of a Cox .049 "Golden Bee" needle with just a seal.. and no spring..
Sealing against air-leaks is EVERYTHING on Cox tanked-Bee engines. 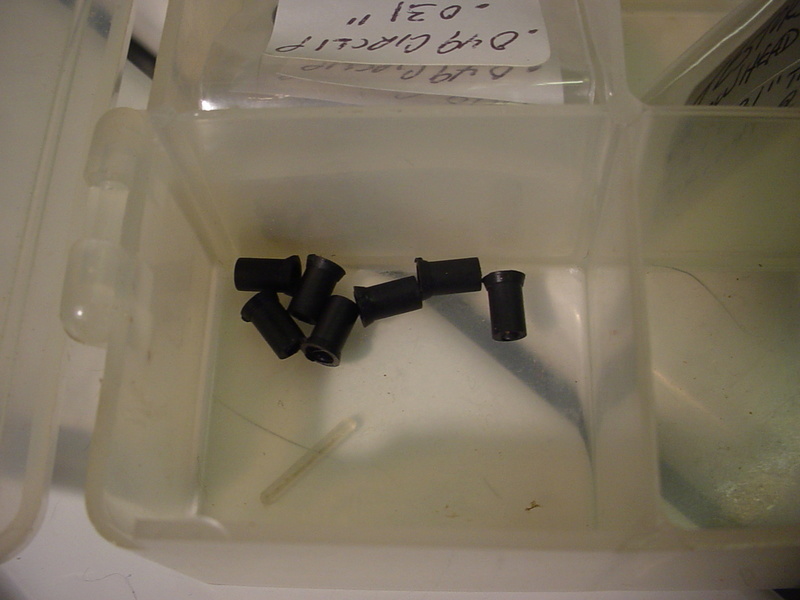 As I mentioned.. the "length" of the seal-tubing needs to be tailored to the OD/length of the needle that you have. It's so easy to experiment with.. and the rewards might put a smile on your face! 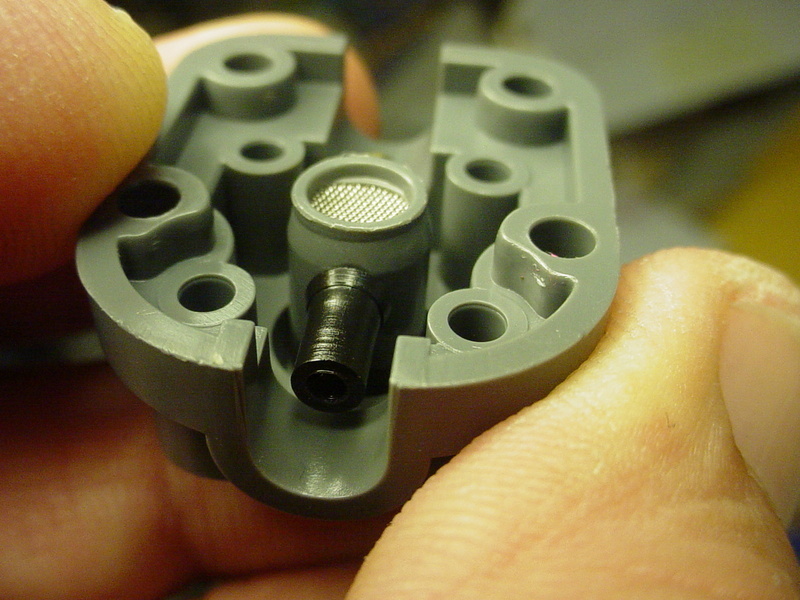 Having the correct size flat-washer is key to using the silicone-tubing seal on the needle. Having the correct "length" and ID-size tubing is also key. 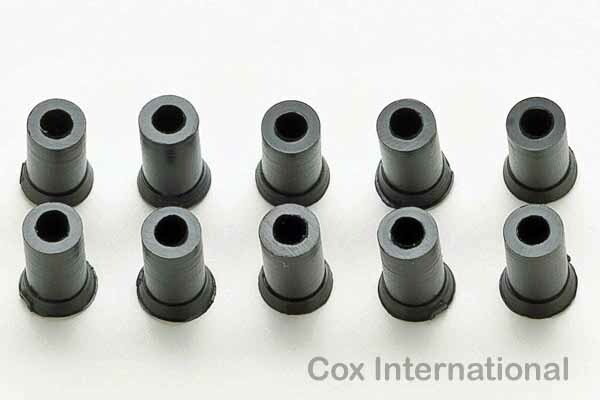 I try to stock many different sizes of fuel-tubing.. and I recently sourced some #2 steel flat-washers which work well on the Cox .049 product-engine needles. Shown below are two different Cox .049 needles. 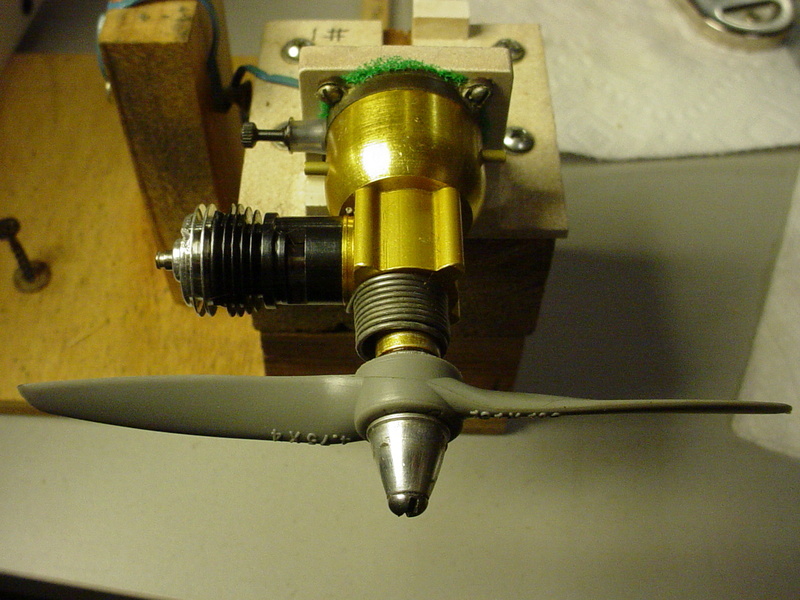 The piece of "rod" and hobby-knife are for cutting the tubing "squarely". Rolling the blade over the tubing with rod inserted helps to get an even-cut. 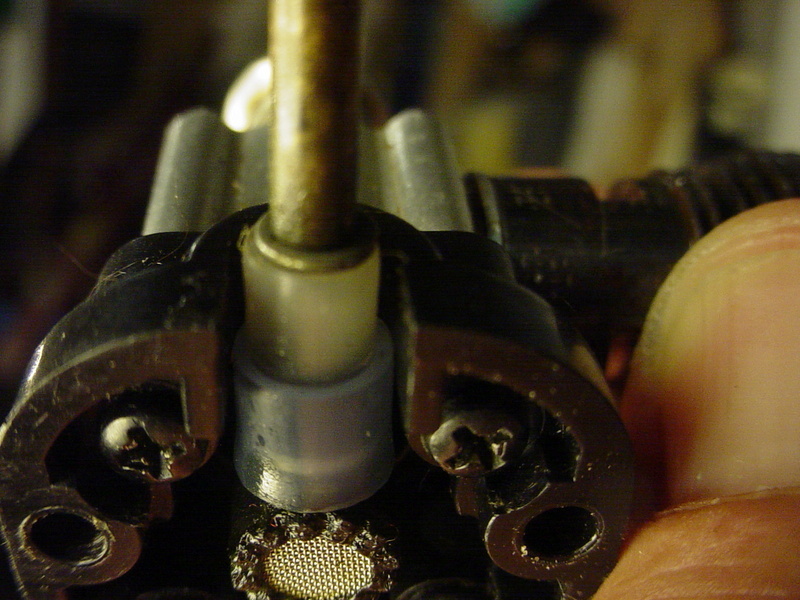 As previously mentioned; I use two-pieces of silicone tubing to seal the product-engines needle. One fits over the OEM plastic-seal.. and prevents the other piece from riding-down too-far and getting "stuck" on the plastic-seal. Hmmm. I like the idea of a two piece rubber seal. I have never heard of it, however, your logic of it is completely true of it getting stuck on. I will take mine off and replace it with the two piece. Thanks. NEW222 wrote: Hmmm. I like the idea of a two piece rubber seal. I have never heard of it, however, your logic of it is completely true of it getting stuck on. I will take mine off and replace it with the two piece. Thanks. Chancey.. It's always been a trial and error thing. Materials/parts move/slide differently when subjected to temperature-change and surface-tension. One needs to fabricate to the surrounding elements, to achieve satisfactory results. Climate-change can significantly influence how a mechanism works. I can't pretend that I know much about this.. "I don't".. but I know that there's a whole lot to learn.. I regularly use the silicon fuel tube to seal the NV on my reedies and TD-s. This 2-piece tube to seal and allow NV adjustment without the stuck tube twisting the NV back is a good idea as is the use of a rod for a perpendicularly cut edge..will adopt them...Thanks Roddie.